Smug Scout has been quite tickled lately by all of the men in skirts. She approves of men who pay homage to women through their apparel choices. Still, she knows that not all of these men are feminists. She knows not all of these men want to fight for women’s reproductive rights, contribute money to Hillary’s Clinton’s future run for president, or discuss Lady Gaga’s weight gain. She knows many of them are just plain Smug. 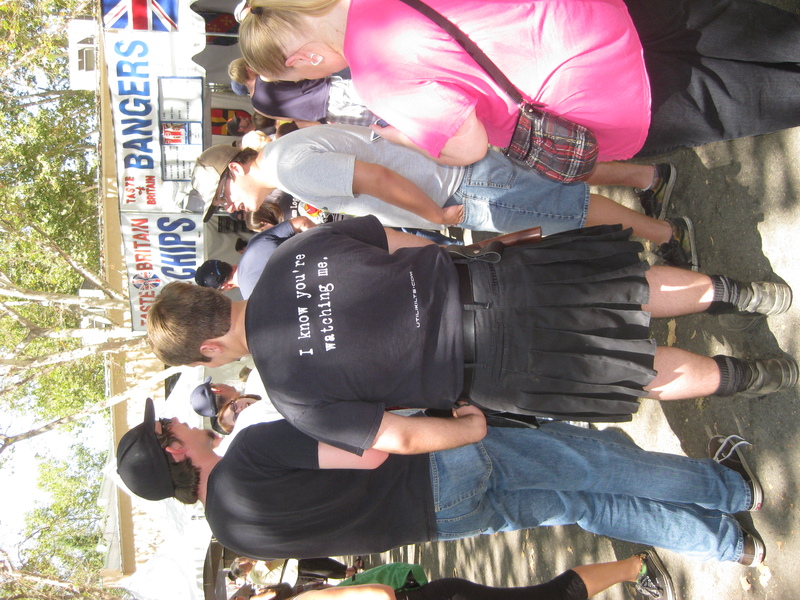 In today’s Smug SmackDown, see if you can tell which of these three men in skirts is the Smug heavyweight. Smug Scout knows how difficult it must be to pick a winner and sees you must be struggling. Therefore, she will help you with hypothetical conversations with the three men in skirts. By the time you have read the third exchange, you will know the answer. Hint: look for Smug key words. Smug Scout: Why are you wearing a skirt? Man in Skirt #1: It is a utili-kilt. Smug Scout: Why are you wearing a utili-kilt? 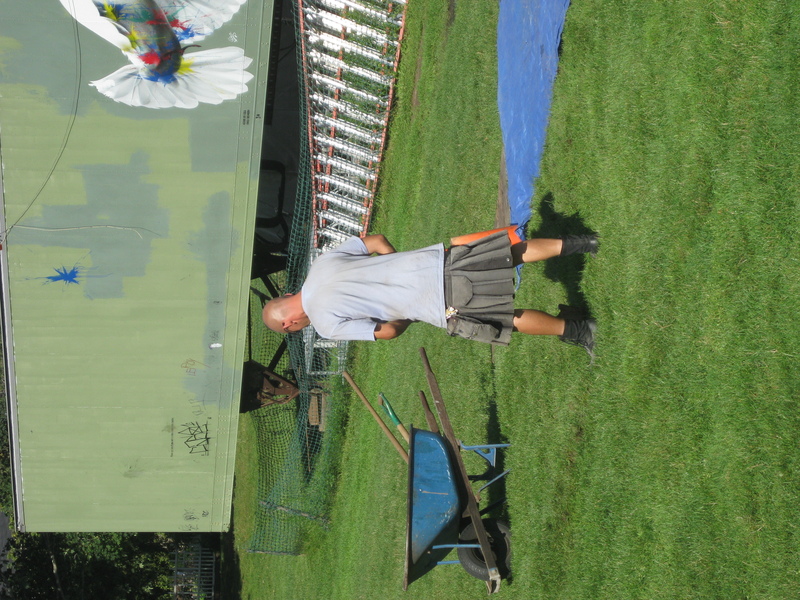 Man in Skirt #1: I am at a Scottish festival. Smug Scout: Is goth construction worker a new clan? Smug Scout: Please do not say one more word. 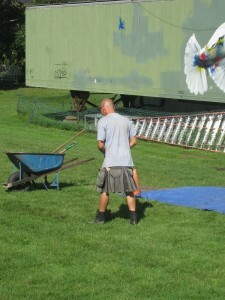 Man in Skirt #2: It is a utili-kilt. Smug Scout: Fine, why are you wearing a utili-kilt? Man in Skirt #2: In case you couldn’t tell while you were pretending to take a picture of the whimsical mural next to me, I am actually working. I have tools in my cargo pockets. Smug Scout: Yes, I figured that the wheelbarrow was not just Smug ecological transportation. But why not wear cargo shorts? Smug Scout: Please do not finish that sentence. Please rethink your beer choices. Man in Skirt #3: It is most certainly not a skirt. It is an organic cotton, handcrafted, local-vegetable-dyed utili-kilt. Smug Scout: Wow! Why are you wearing that organic cotton, handcrafted, local-vegetable-dyed utili-kilt? 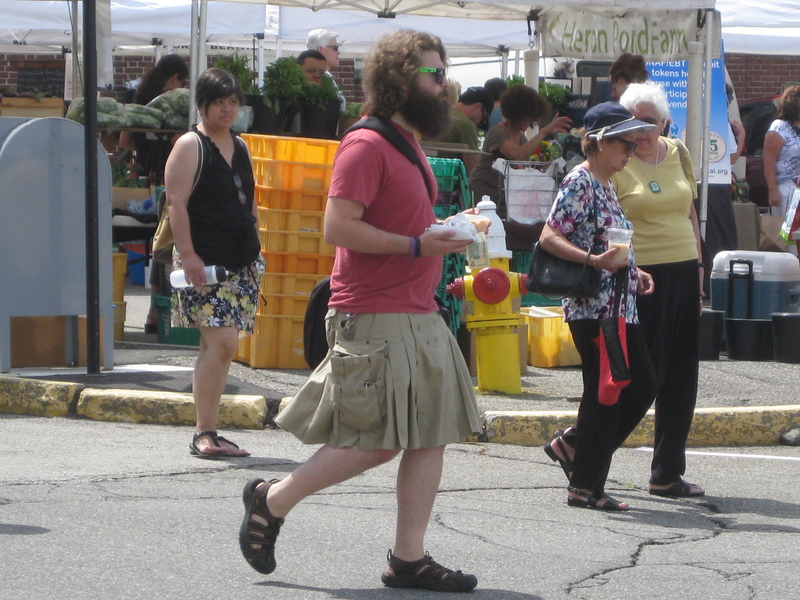 Man in Skirt #3: As you can see, I am at the Portsmouth Farmers’ Market. I just bought a vegetarian All-Day Breakfast Wrap and an Iced Organic Chai from White Heron Tea. Smug Scout: But what does that have to do with wearing an organic cotton, handcrafted, local-vegetable-dyed utili-kilt? 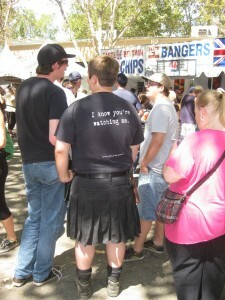 Man in Skirt #3: I just answered your question! Smug Scout: Yes, I suppose you did. But how do you keep the homemade vegetarian sausage and roasted local organic heirloom tomato sauce out of that thicket on your face? Man in Skirt #3: Excuse me. I have to go buy organic wild dandelion greens, heirloom purple basil, and local backyard red sunflowers. Smug Scout: Yes, indeed you do. Since you did not bring an appropriately crafted reusable bag, you should use your cargo pockets to carry your greens, herbs, and flowers. Those pockets should be good for something. They obviously will never see an actual tool. As you no doubt correctly guessed, Man in Skirt #3 is the winner. But you should have figured that out as soon as you saw he was spotted at the Portsmouth Farmers’ Market. Those are the only Smug key words you really need.